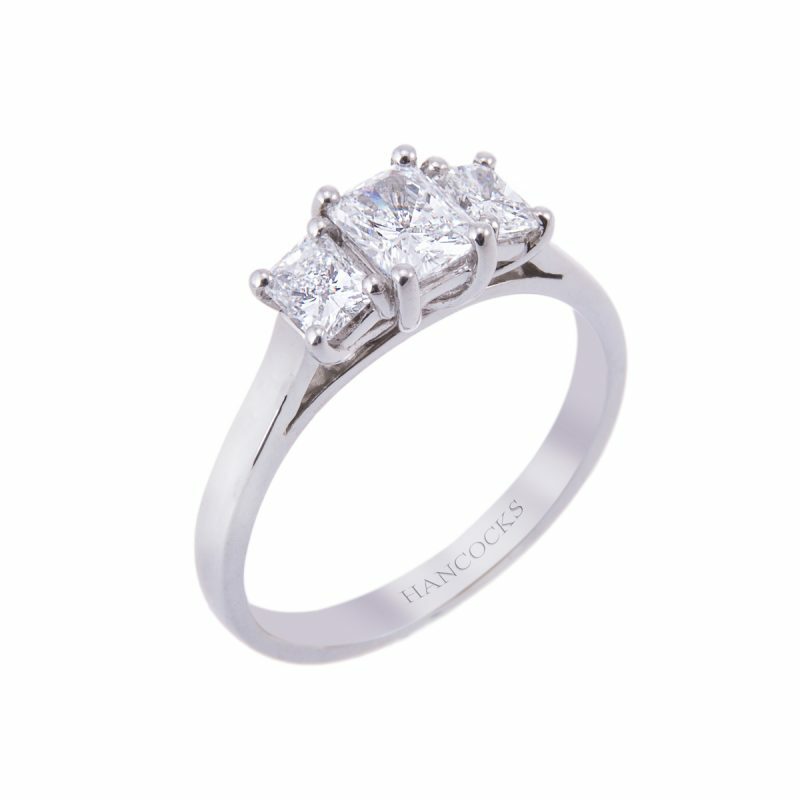 This unique cut allows light to enter the diamond from many angles, giving it the ability to reflect light in many ways that dazzles with fire. 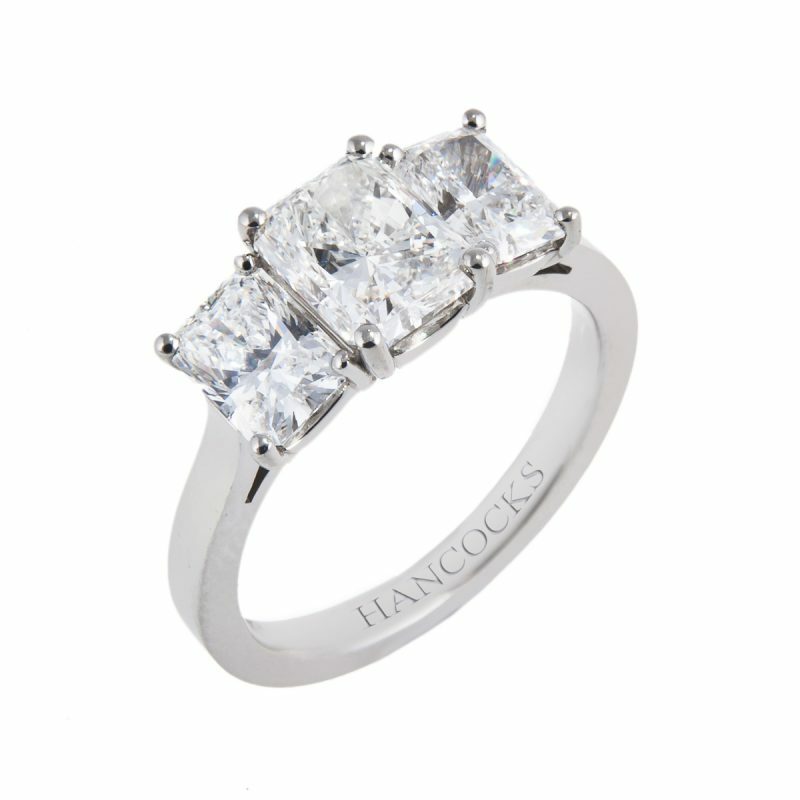 This 3-stone ring is mounted with three beautifully matched radiant cut diamonds, all mounted in a platinum handmade setting. 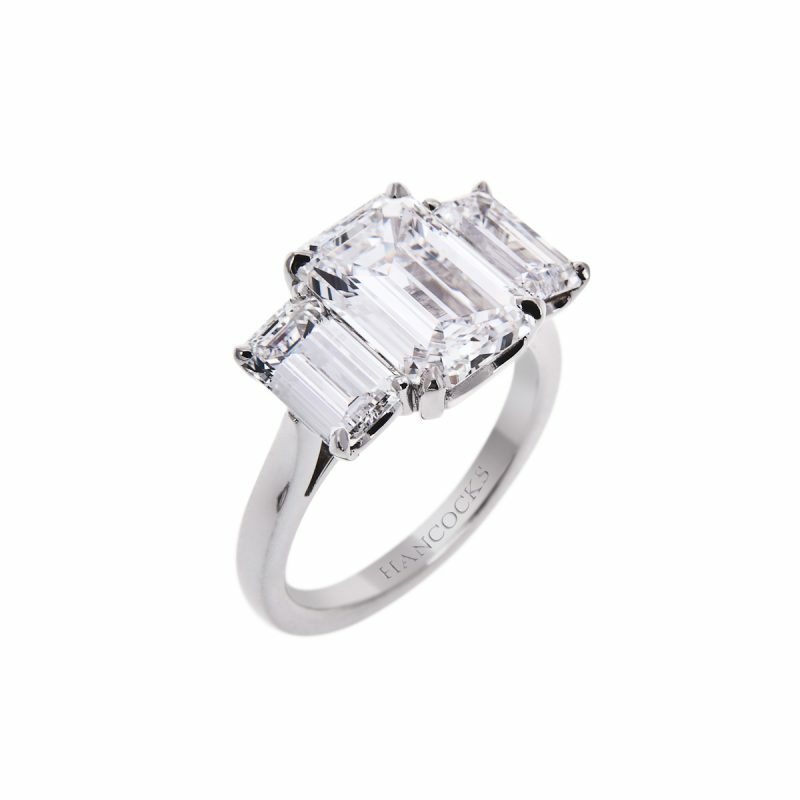 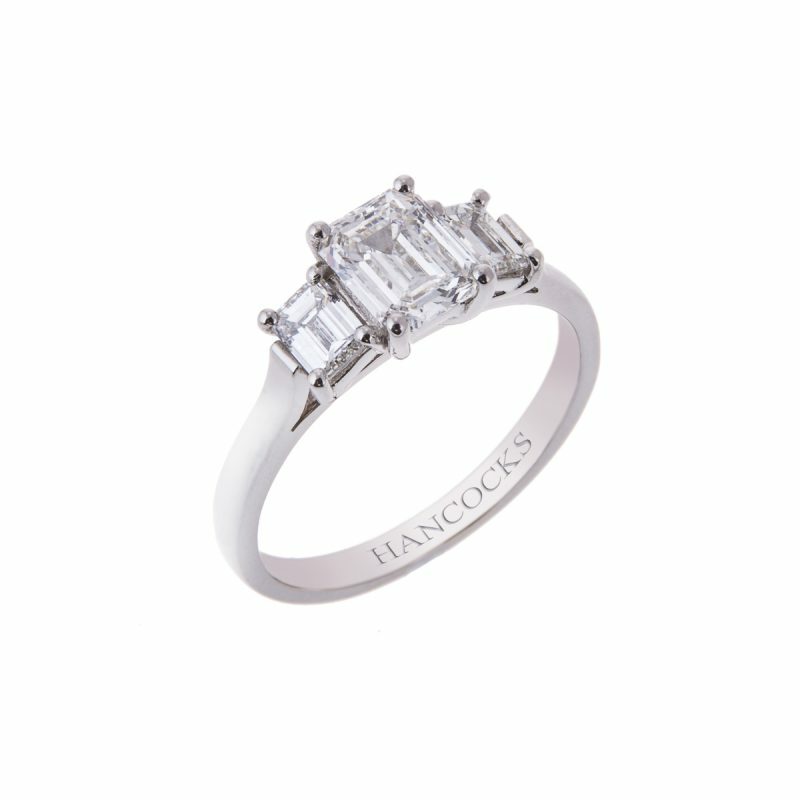 A radiant cut diamond is a gorgeous hybrid cut that combines the brilliance of a round cut with the unique shape of the emerald cut, all this without compromising it exceptional sparkle and fire.